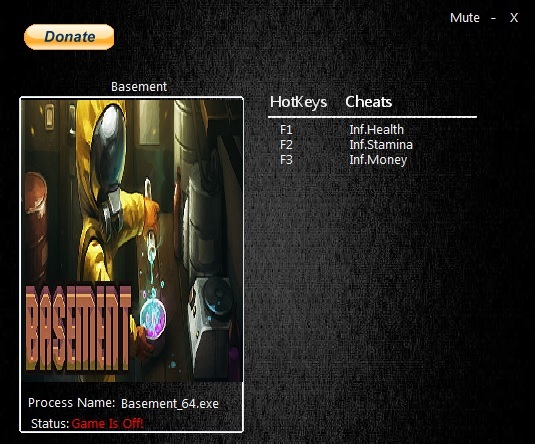 In this article you can download Basement cheats. This trainer +3 has been created by MrAntiFun for game version 3.3. All cheats on our site you can download without registration, so this hack available for download free. With this trainer you will get the advantage in your game. But first, a bit of information about the game. Basement uses simple-bit graphics on a 2D layout, and it should be noted that the game is far from complete, with Halfbus estimating a 6-8 month Early Access development cycle. 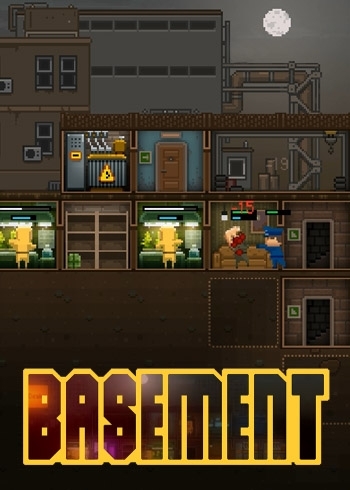 The premise follows a simple concept, kicking off as the player starts manufacturing and distributing drugs to dealers for profit from the basement of a building. The gameplay is essentially a 2D RTS, granting players a perspective that allows them to see the first floor of the building, as well as subterranean floors below.